My college years were spent in Tucson studying at the UofA. Now, many years later I returned for 1.5 weeks to take a workshop, teach a workshop and enjoy all Tucson has to offer. 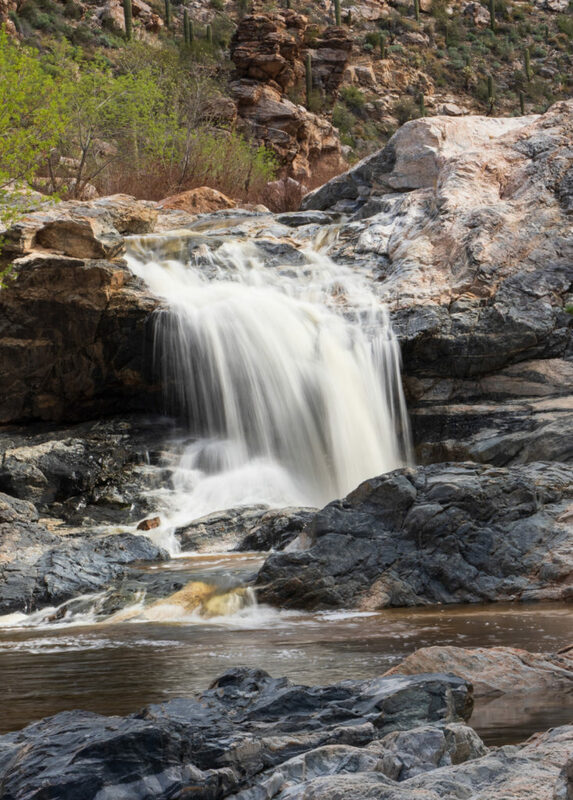 Now, I’m a hiker so I discovered many new places one of them being Tanque Verde Falls. Fortunately, another workshop attendee and local Tucsonan joined me for the morning. After a short hike and scrambling over boulders we arrived at the lower falls. Luckily, clouds were intermittent providing softer and more even light. We ran short on time, so we didn’t scramble to the upper falls but it sure was great scouting a new location. Notice in the images below the difference of cloud cover versus direct sunlight? Tanque Verde Falls in cloud cover. Olympus OM-D EM-1 Mark II, 12-100mm, f/16, .5 sec, ISO 200, Singh-Ray Waterfall Polarizer. Tanque Verde Falls in sunlight. Olympus OM-D EM-1 Mark II, 12-100mm, f/16, 1/4sec, ISO 200, Singh-Ray Waterfall Polarizer. 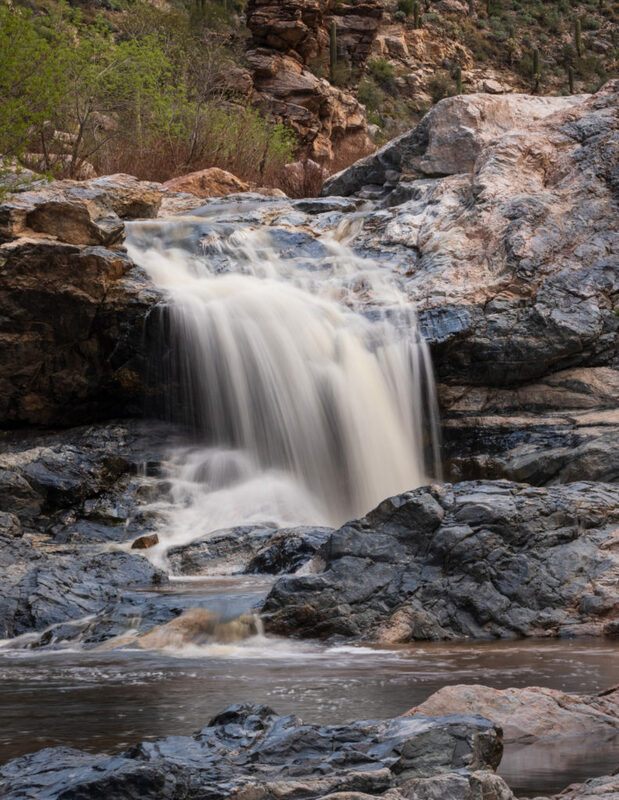 This entry was posted in Inspiration, Technique, Travel, Water, Waterfalls and tagged #expressivewaterimages, #horndesignsphotography, #tanqueverdefalls, #waterfall on March 15, 2019 by admin.